The relationship between manufacturer and club grows ever more distant, not to mention strained. The story of the Viper Club of America is a slightly strange one. 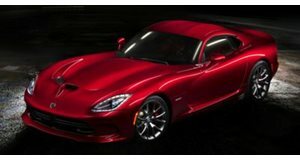 The club started up shortly after Chrysler debuted the Viper, and at the time they received quite a bit of assistance from the manufacturer for marketing/PR reasons. This relationship became more distant when Chrysler was bought by Diamler, and more distant still in 2007, when it was announced the Viper would be discontinued in 2010, with no immediate plans for a new generation. It was because of this that things started getting weird. A man named Chris Marshall his connections from inside the club to strike a deal with Chrysler to buy spare parts and even tooling in order to set up Viper Parts of America, a sort of support network for Viper owners who were losing support from Chrysler. This could also be used to support the club itself, serving as a replacement for the money which it used to receive from the manufacturer. This was fine in theory, but it seems that the company is now being run for profit, which isn’t exactly a problem in itself. The problem comes from the fact that members of the club board of directors, chiefly Marshall, have paid positions at Viper Parts of America, and that club policies and influences are being used to help the profit-making company. This is all a problem because the VCA alleges that it is a non-profit organization, and indeed pays taxes as such. The whole thing started getting really weird when reports started coming in that VCA was actually suspending members who opposed these new policies. Chrysler has taken issue with this, and has sent the VCA a strongly worded letter informing them that this cannot continue.